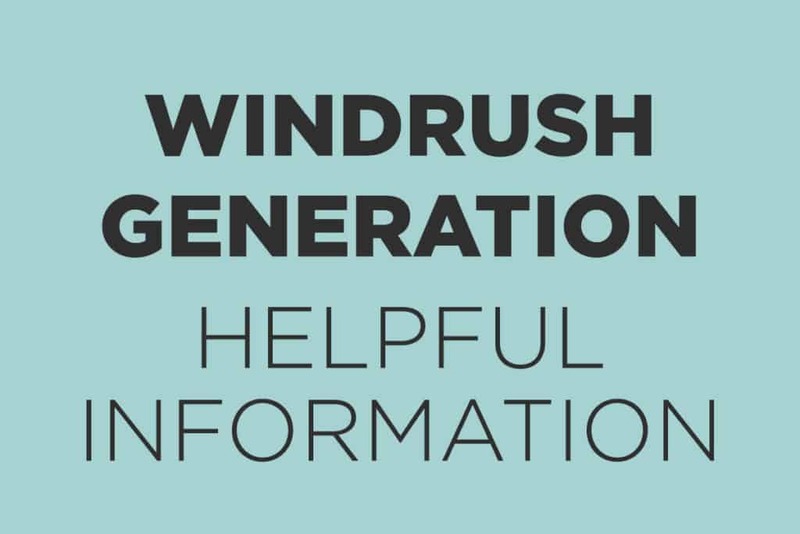 Windrush is a word that evokes a sense of injustice in many. We never expected at RA-C to be directly involved in working with people who were affected by the scandal. However, recently we have had two individuals come to us, effected by this. One will be writing about what happened in the next newsletter. The other is a complex case and has involved a learning curve for us all. Lee came to us around 9 months ago after a referral through Barnardo’s. He lives with his partner and three children in Colchester and has been unable to work or claim benefits for around 9 years. This has left him and his family in increasing hardship. They were literally surviving on support from Foodbanks and Barnardo’s and latterly from us. Lee is white, and he grew up in Coggeshall. His granny lived across the road from him and he attended school here, worked here for nearly his entire adult life and paid taxes and National Insurance. 9 years ago he was working on a job for the MOD when they told him his papers were not in order. From that day he has had no access to public funds. When he came to see us we had little experience of how to approach his case. The issues came from a period when he was small and his British mum married an American and when they returned his passport was stolen. We thought we might need to prove continuous residence over the past ten years – a difficult proposition when there are no wage slips or benefit payments for most of that time period as he has been unable to work. We sent Subject Access Data Requests to the tax office, previous employers, Essex County Council and many others, looking for evidence to support Lee’s residence here. RA-C funds paid for this work and any costs involved. By chance we received a copy of the Windrush Task Forces criteria. 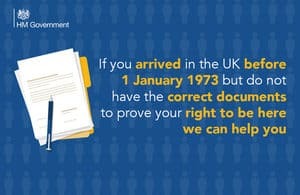 The last area of eligibility for applying to the taskforce was to have your case looked at for any nationality – you arrived in the UK before 31 December 1988 and you have lived continuously in the UK since your arrival. Lee qualified under this criteria. Unable to access any solicitors we supported him to complete the lengthy application, gather and copy all the evidence and send it off. There were barriers…one of which was that the Taskforce – presumably in an effort to make it more accessible for people – have a Freepost address for people to send in documents. However, you cannot send mail recorded or registered through the Freepost service! So people who have had their papers lost by the government have to trust that they won’t be lost again! We were lucky – the local Post Office manager documented and signed the letters and files we sent and was willing to sign to say it had been sent. Then, when it began to be impossible for Lee and his family to survive we managed to get the case pushed through to the welfare department where it was expedited. Last week Lee arrived at the office with a brand new Biometric card. The category is Settlement – time unlimited! A cause for great celebration. So many people applied through the Taskforce that the early agreement to provide automatic passports has been withdrawn and we will support him to apply for one. The next step is obviously compensation but the Windrush Compensation scheme is still in the consultation period. Housing is a huge issue – the family have been living and have managed to stay in a Housing Association property but it has not been suitable for them for some years. Yet it’s not strictly anyone’s job to sort that out. The missed years of advancing up a council waiting list we hope that Colchester Borough Council will help make right for this family. The emotional impact of having your livelihood removed in the space of a day can never be truly compensated. Things still need to happen to make up for the injustice that has happened to Lee and his family. And they have yet to access work or benefits. Family losses – holidays, school trips, treats, all have to be accounted for. We would love to hear from any solicitors who want to help redress this injustice with Lee. He is such a humble guy and deserves to feel good about himself, know that this was never his fault and that he can begin to feel sure of his future again. And we continue to work with him to make sure that this happens. We have won a Lottery Grant!